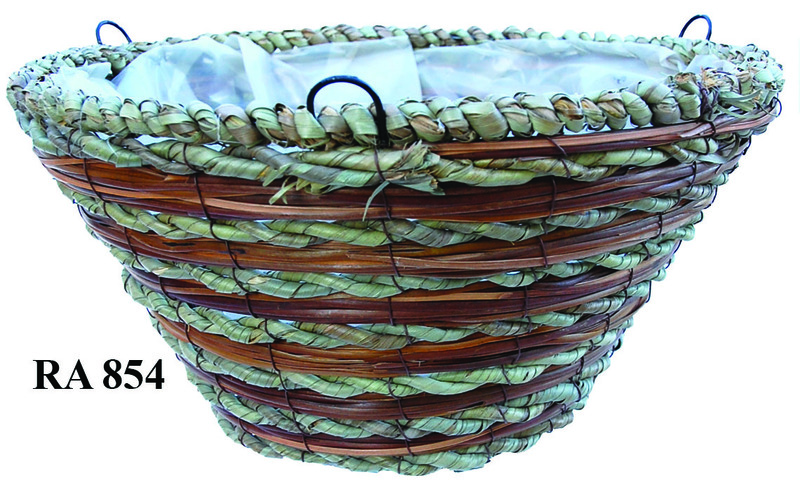 Maize Weaved Rope And Fern Hanging Basket With Wire Hanger - 14"
Home > PLANT CONTAINERS Iron, CocoMoss, Rattan, Willow, Naturals, Bamboo and more. > Natural planters - rattan and others > Maize Weaved Rope And Fern Hanging Basket With Wire Hanger - 14"
Weaved maize rope and fern flat bottom hanging basket lined with poly film for moisture retention. This planter is 7.75" deep and has 7" flat bottom.